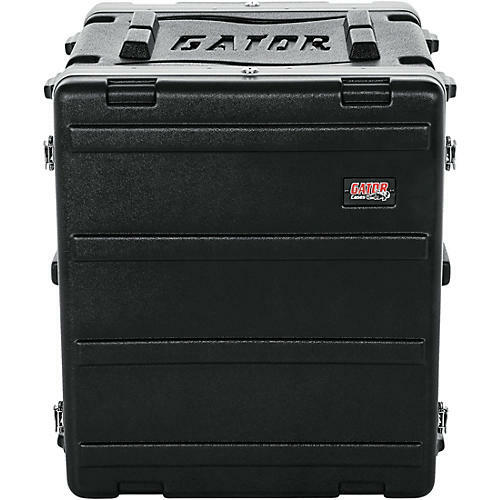 Gator GR deluxe rack cases are molded from an incredibly durable high-density military-grade polyethylene. Gator Cases provide maximum security for your equipment and are lightweight for easy transportation. GR cases also have sloped side handles to insure comfort for your hand while lifting. Ridges on the top and bottom of the racks make them universally stackable with Gator rack cases and those of other manufacturers as well. These cases have a rackable depth of 18.75". The GR-4L fits the Alesis ADAT-HD24, Alesis ADAT-HD24XR, Fostex D2424LV, Tascam DV-RA1000HD, Tascam X-48, and many others.